CALL US OR SEND US A MESSAGE AND WE WILL CONTACT YOU AS SOON AS POSSIBLE. 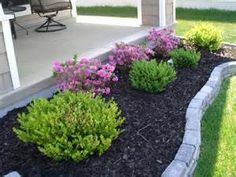 Vizcarra’s Landscaping has been providing outstanding customized service to our clients for many years. This has earned us the reputation of one of Northern New Jersey’s premier residential and commercial landscaping companies. As a full-service company, we provide a one-stop shop for all areas of landscaping, including maintenance, construction, and irrigation for residential and commercial clients. As each of our clients has different needs, all of our designs and concepts are customized to satisfy each customer in a unique way. Vizcarra’s Landscaping specializes in maintenance of parks and recreating areas such as soccer and baseball fields. Our clients include residential and commercial establishments and condominium associations.